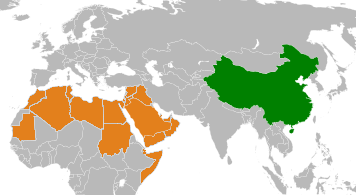 Despite security interests in the region, don’t look for China to become a leading mediator in Middle East conflicts. China’s special envoy to the Middle East, Wu Sike, returned to China on Saturday after an 11 day, eight country tour of the Middle East that included stops in Israel, Egypt, Saudi Arabia, Iraq, and Qatar. In a press conference on Monday, Wu spoke with reporters about his trip and China’s positions on Middle East issues, from the Israel-Palestine conflict to the ongoing crisis in Iraq. Those hoping that Wu’s trip represented a new era for Chinese leadership on Middle East issues were likely disappointed—there was little new in Wu’s remarks. Wu’s trip was designed mostly to focus on the Israel-Palestine conflict currently raging in the Gaza Strip. Wu, echoing other world leaders (including UN Secretary-General Ban Ki-moon) has called for an immediate ceasefire between Israel and Hamas, followed by the reopening of negotiations between Israeli and Palestinian officials. Wu placed much of the responsibility for achieving these goals on the international community at large, saying efforts at mediation would be crucial for ensuring the implementation of a ceasefire. In an earlier interview with Al Jazeera, Wu was even more explicit about the world’s responsibility to end the Israel-Palestine crisis. Wu said that the international community should increase its “sense of urgency” over the crisis, implying that current efforts are not enough. But there was no indication that China was wiling to actively guide the international efforts to mediate. Wu also urged the international community to do more to aid Iraq with its battle against terrorism, calling for an end to “double standards.” According to Reuters, Wu pointed out that Syria and Iraq have become “a training ground for extremists from many countries,” including China. Wu suggested that Uyghur militants may have already joined the fighting in the Middle East. “After being immersed in extremist ideas, when [these militants] return home they will pose a severe challenge and security risk” in their home countries, Wu said. As Wu himself made clear, China is not merely a bystander to unrest in the Middle East — instability and the resulting growth of terrorist networks in places like Syria and Iraq could have huge consequences for China’s own fight against domestic terrorism. Plus, China’s growing energy consumption makes it critical that security threats don’t disrupt supplies of Middle Eastern oil. Like all major world powers, Beijing is discovering that it now has vital national interests in regions thousands of miles away from its borders. Some analysts and media outlets have called on China to take on more responsibility for solving Middle East crises as China’s own national security becomes more bound up in this volatile region. At the start of Wu’s trip to the region, for instance, the South China Morning Post argued in an editorial that “there is no more impartial or well-placed a country” to jump-start Israel-Palestine negotiations than China. That may well be true, but just because China could play a more active role in Middle East diplomacy doesn’t mean that it will. Right now, China has all the diplomatic potential in the world: positive relations with all the major players in the Middle East, growing international clout, and (perhaps most importantly) a clean slate. Having remained resolutely on the sidelines of the decades-long Israel-Palestine conflict, plus the more recent crises in Syria and Iraq, China will bring no baggage to the table should it take a more active role in mediation. The problem, of course, is that China loses this tabula rasa status (and potentially the friendly relationships it has worked to build) once it becomes actively involved in any of these hot-button issues. On the Israel-Palestine issue, for example, Wu has proposed a two-state solution that would establish “an independent Palestinian state that enjoys full sovereignty, with East Jerusalem as its capital and on the basis of the 1967 borders.” A return to the 1967 borders would involve the handover of Israeli settlements in the West Bank to Palestine — something Israel has refused to seriously consider. Pushing too hard for the two-state solution outlined by Wu would damage China-Israeli ties, while not pushing hard enough would upset Palestine and other Arab states in the Middle East. Viewed in this way, taking an active role in negotiations that are likely to be futile would be a losing proposition for Chinese diplomacy. Ultimately, China has been able to retain good relations with so many disparate nations in the Middle East precisely because it has stayed out of conflicts and crises over the years. Plus, even though China’s security interests in the region have grown, other countries (most notably the U.S.) share similar interests, reliving China of the responsibility of shouldering the burden alone. In the case of the recent violence in Sudan, China was far more interested in a rapid solution than any other third party, and was forced to take up the leading role as mediator. But with so many interested parties in the Middle East, there is little reason for China to run the diplomatic risk of taking the lead on solving issues.